Montserrat Mountain: A long standing mystery. A dark past. The secrets of the sacred mountain finally uncovered. 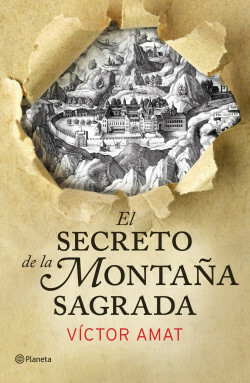 A 100% Bestseller: tumultuous action in a plot that combines historical detail, a secret about to be revealed, a mysterious evildoer, an emotional couple and especially Montserrat, a magical environment suffused with mystery and legend. The novel is an extremely easy read and will enlight readers as they turn the pages. Very well researched, it is filled with references and interesting facts about the way of life inside a monastery.